Your toddler’s teeth are important because they act as placeholders for permanent teeth. And while strange instruments and new faces can be upsetting for your little one, we have some tips and tricks that can help make their first dental check-up more fun. When should you bring your toddler in for their first check-up? At Beautiful Smiles, we recommend that children come in for their first dental appointment somewhere between eighteen months and two years of age. We’ll help your child establish healthy dental habits by the age of three to encourage a lifetime of healthy teeth. Our team of caring and kind staff will show you how to care for their teeth, and show you how to encourage good hygiene. 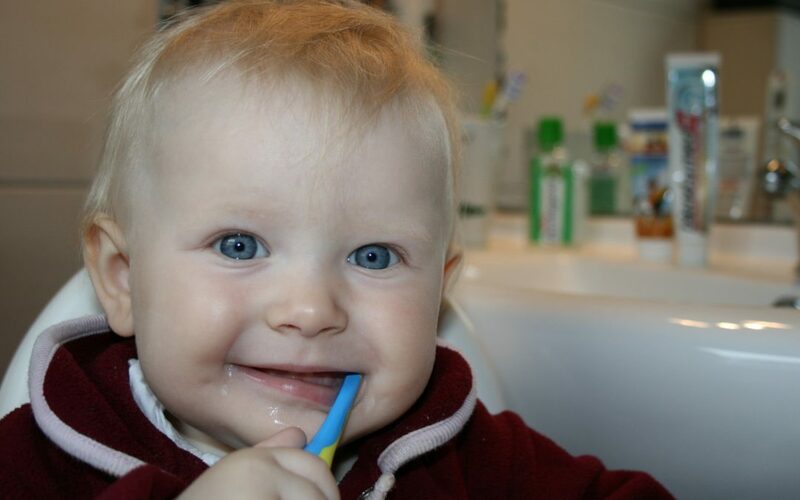 The goal of your toddler’s dental check-up isn’t a full teeth cleaning. Instead, we’ll be checking to make sure there aren’t any red flags that could mean trouble down the road. This is an opportunity to create healthy habits that last a lifetime. Keep juice out of bottles, and don’t let your child fall asleep with a bottle in their mouth. Avoid gummy fruit snacks, candy, and gummy vitamins. They can stick to teeth, and increase the risk of tooth decay. Help your toddler brush their teeth twice a day, and don’t use more than a pea-sized amount of toothpaste on their brush. For children up to eight years old, you should be the one in charge of their healthy dental habits, but letting them make small decisions such as which toothpaste flavor or letting them choose a toothbrush with their favorite character on it can get them more excited about brushing their teeth. While it might be tempting to promise your little one a special treat if they make it through their appointment, this tactic can send the wrong message. We encourage parents to focus on good oral hygiene as its own reward. Dentist offices are full of new experiences for little kids, and while we might be biased – we think dentists are pretty cool. Kids love technology, and they love stories. You can try getting your kid excited about what they’ll see with some good books such as “Show Me Your Smile! A Visit to the Dentist” where Dora explores the dentist’s office, or “Just Going to the Dentist” by Mercer Meyer (the popular Little Critter author). You can also check out your local library for kids’ books about going to the dentist. Keep conversations about the dentist positive, and avoid words like “pain” or “shot”. And let them know how cool some of the loud machines are. For example, the sucking straw may make some loud scary noises, but it’s not painful at all. We’ll help your little one feel comfortable, but if your child is nervous before they get to meet with us, try to explain what’s going on in a cheerful way. What should you do to help your toddler while at the dentist? We have a few tricks up our sleeves that can help your toddler feel more comfortable, and even have some fun. During their appointment, you and your dentist are on the same team. If your child gets upset, work with your dentist to help calm them. Often parents are surprised by how easy the experience actually is, which makes latter appointments so much easier.